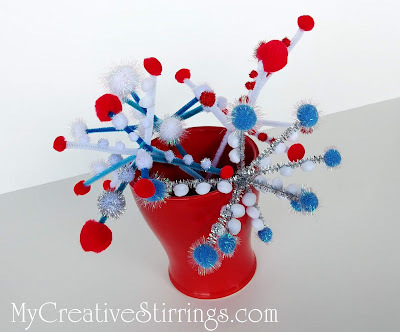 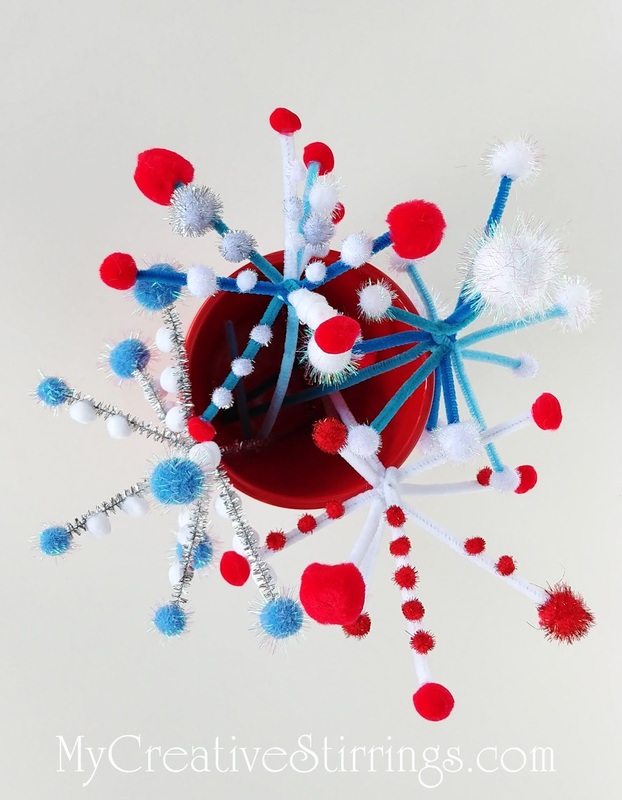 These are pipe cleaner fireworks. 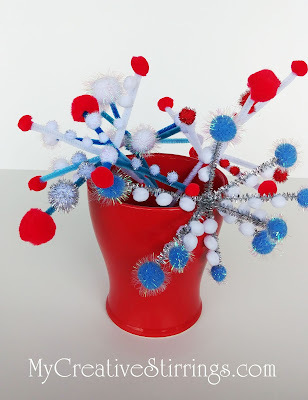 I used pipe cleaners, pom poms, and hot glue to put these together. They were a fast and easy craft project! 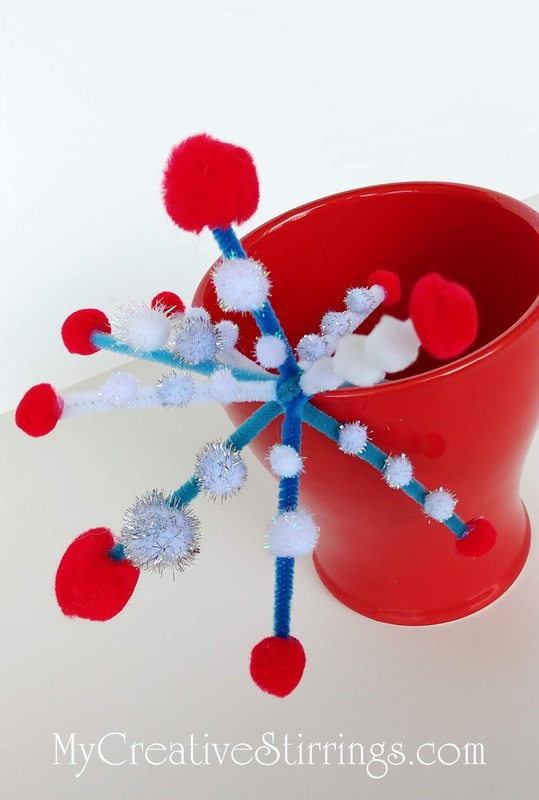 I cut different lengths of pipe cleaners and twisted them tightly, approximately 1/2 way down, a long pipe cleaner. 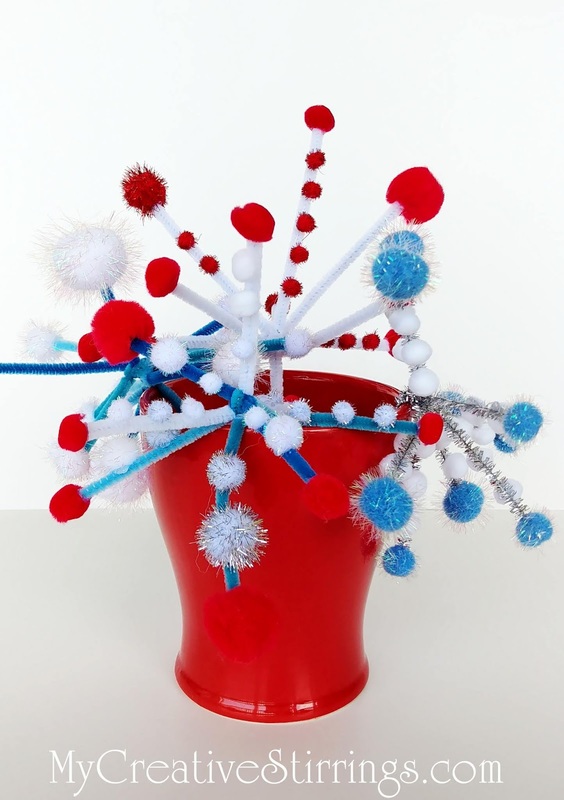 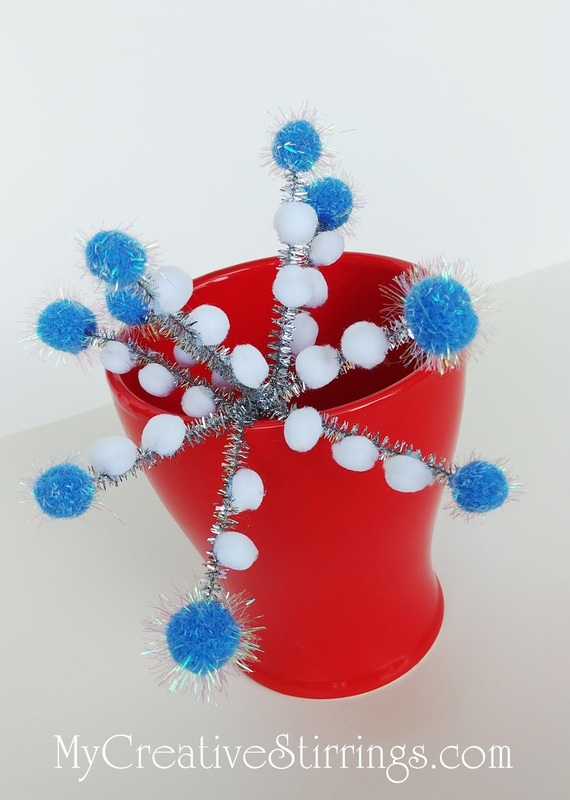 After I attached the pipe cleaners I hot glued pom poms all over. 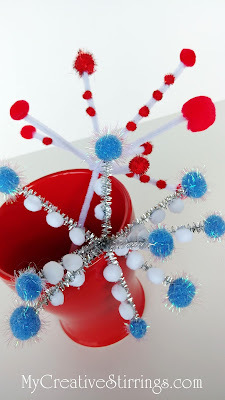 These are not super sturdy and will not stand straight up. You could attach the central pipe cleaner to a thin wire for added strength.